Researchers: J.A. Richardson, C.B. Connor, P.H. Wetmore, L.J. Connor, and E.A. Gallant, School of Geosciences, University of South Florida. 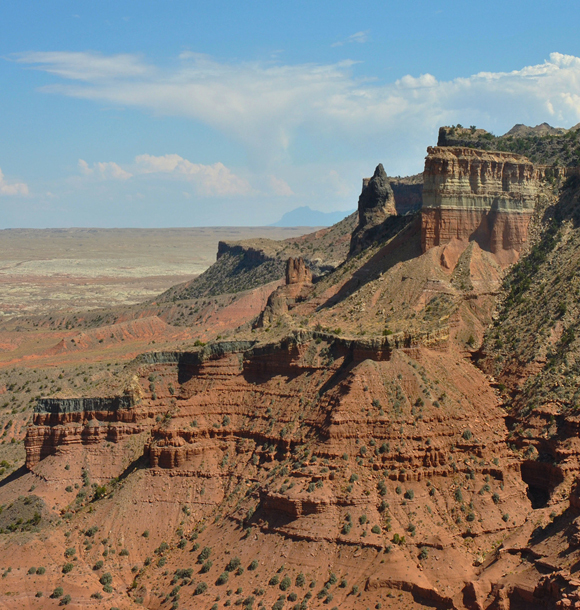 Detailed mapping of volcanic interior systems in the about 4 million year old San Rafael volcanic field in Utah provides information about volcanic processes. Airborne and terrestrial Lidar data show 7 sill forming events and 12 conduit forming events. The large volume of shallow sills show that these structures are important for eruption dynamics and such structures should be studied in active volcanoes to learn more about their patterns of unrest. Throughout the Cenozoic (65 million years ago to present), basaltic volcanoes erupted across the Colorado Plateau and Basin and Range provinces. Erosion and other processes have left the interior of these volcanic systems exposed in outcrops in the arid west of the United States. The volcanic rocks are distinct from the sedimentary rocks into which they intruded and this makes the process of mapping these systems easier. The San Rafael Swell in Utah is a well-known volcanic field that was active between 4.6 and 3.8 million years ago. Field mapping has denoted the interiors of this volcanic system. Even with the field mapping however, mysteries remain, because the systems are complex. Now, airborne and terrestrial Lidar data are utilized to map these structures in more detail and in three-dimensions. The Lidar mapping revealed 7 isolated sills that were probably formed from independent dike injections. The volume of these sills accounts for about 93 percent of the intrusive rocks and thus for most of the interior of the volcanic systems in the mapped region. Combining the sills with the modeled and mapped conduits suggests that there were 12 separate volcanic events in the study area. These results not only help to define the volcanic history and plumbing of the San Rafael Swell, but also indicate the importance of shallow sills for active volcanoes. J.A. Richardson, C.B. Connor, P.H. Wetmore, L.J. Connor, and E.A. 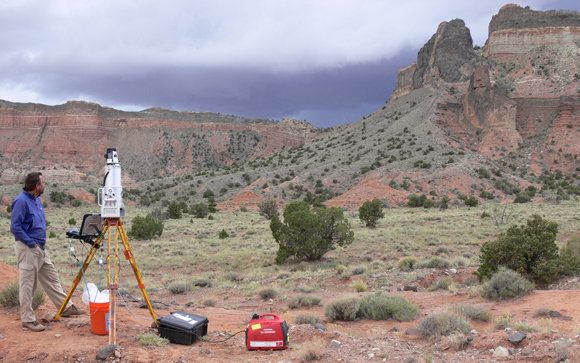 Gallant (2015), Role of sills in the development of volcanic fields: Insights from Lidar mapping surveys of the San Rafael Swell, Utah, Geology, doi:10.1130/G37094.1.